We get so many submissions of weird and wonderful things our readers have found on Google Maps and Google Earth that we couldn’t possibly post them all. Today however, we are launching a new feature that will bring more of your incredible satellite and aerial finds to light – Only from above: the best of Google Maps. Did they know Google were on their way? 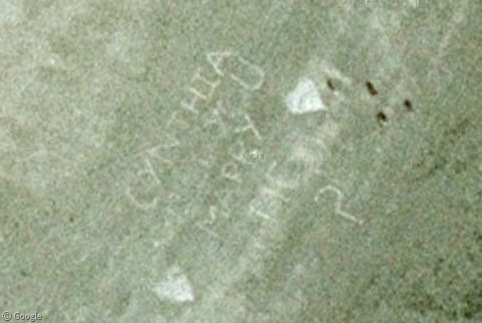 This message on a Dublin beach, “CYNTHIA, WILL YOU MARRY ME?”, nearly passes our stringent rules for acceptance of aeroplane-visible marriage proposals, but did Cynthia accept? 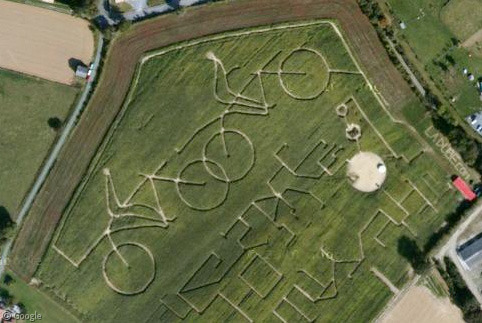 We’re pretty sure this crop-maze in France depicts a couple of bananas riding bicycles, but we haven’t a clue why. 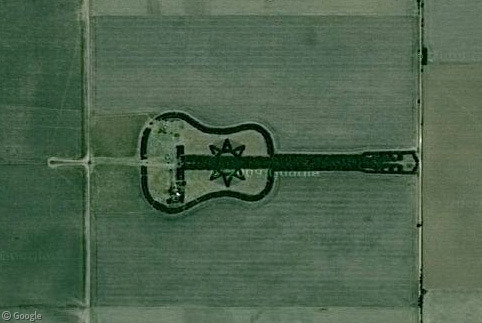 In Argentina we find another strange design decision, where somebody has arranged a whole bunch of trees into a giant guitar. For some reason this seems more sensible than the cycling bananas, but only just. 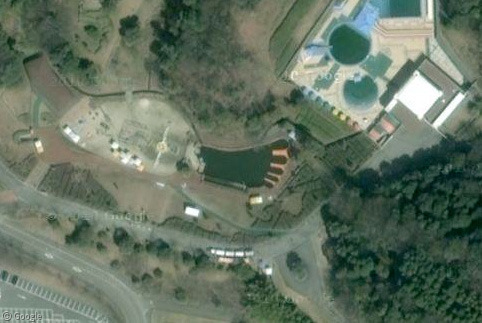 OK, a giant guitar we kind of get, but who on Earth would want a swimming pool shaped like a foot? Somebody in Japan apparently. 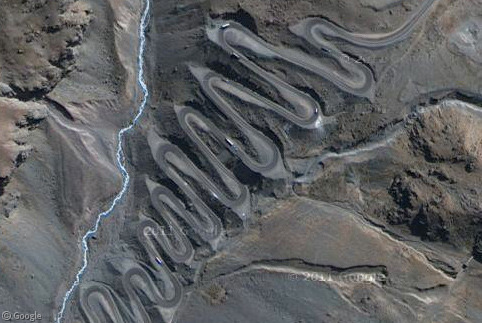 This ridiculously bendy road in the mountains of Chile must surely be a contender for the most bends covering the shortest distance award. As the crow flies, obviously. 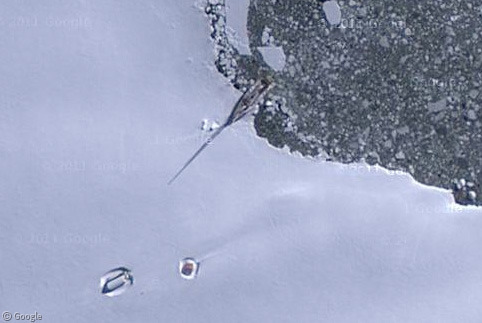 This chilling scene capture the remains of a wrecked boat on the shores of a remote Antarctic island. 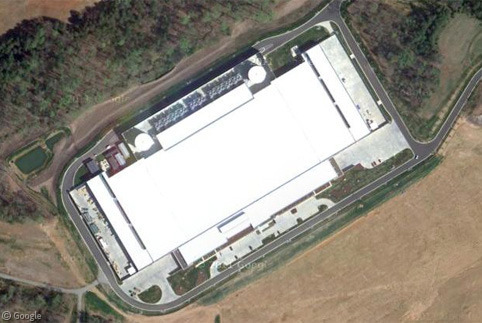 Last week Apple announced iCloud, a new “cloud”-based music and data service for all you squillions of iPad and iPhone users – and here’s the brand spanking new facility in North Carolina where all your data will be stored (once you’ve unquestioningly uploaded it all of course). Elsewhere, the actions of some unruly New Zealand students made headlines around the world when they did what students have done since students were invented – they drew pictures of penises. Except these students did it on a much larger scale than your average students. Compensating for something boys? 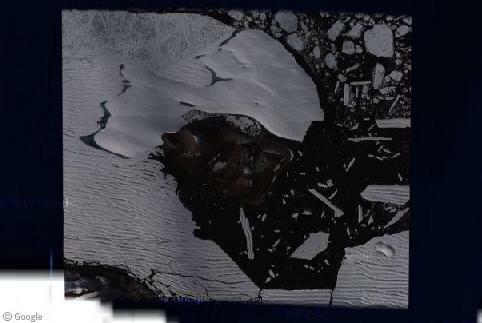 Have you found something weird, amazing, beautiful or completely inexplicable on Google Maps or Google Earth? Send us your suggestions and we’ll publish the best ones next week! Great catch LuK – this looks like a good possibility. Still doesn’t make it any clearer what bananas on bicycles are supposed to mean however! This song is about chilling at night in Paris, riding a Vélib’ (parisians’s shared bicycles). 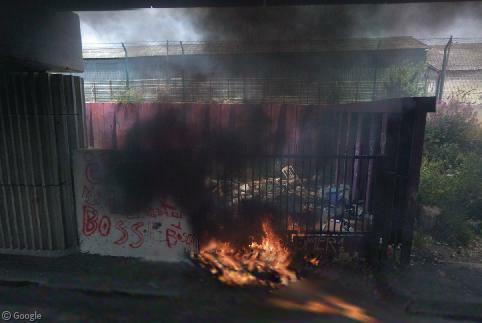 And the first single from the album was ‘La banane’. 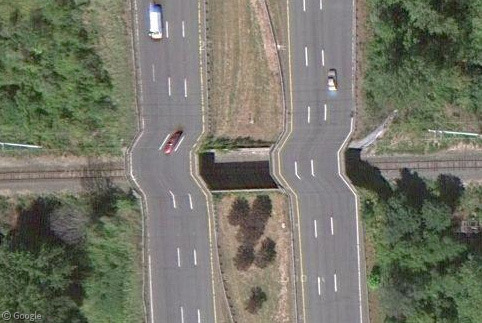 The speed bumps on Interstate 91 must be some kind of artifact of the satellite image. 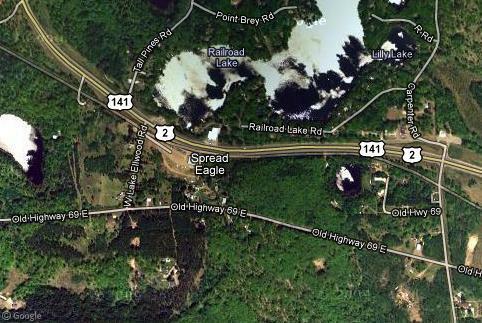 Street view clearly shows the road to be straight and flat. The now husband organised a helicopter ride over Dublin Bay, the helicopter company helped organise the message on the beach. The letters were filled with flour to help them stand out. The letters were filled with flour to help them stand out.